Managing "live" CDSP trials is paperwork-intensive. Several years ago, I approached a friend to develop an Excel sheet that would create necessary trial paperwork like score sheets and trial score logs. It also helps track credits and debits in a Budget sheet. Maintain a master list of all dogs entered in the trial. 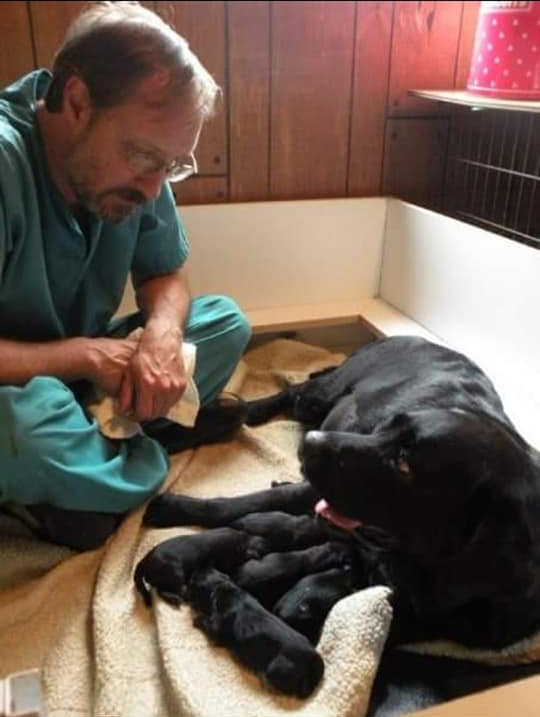 Enter a dog from the master list into whichever classes were entered. 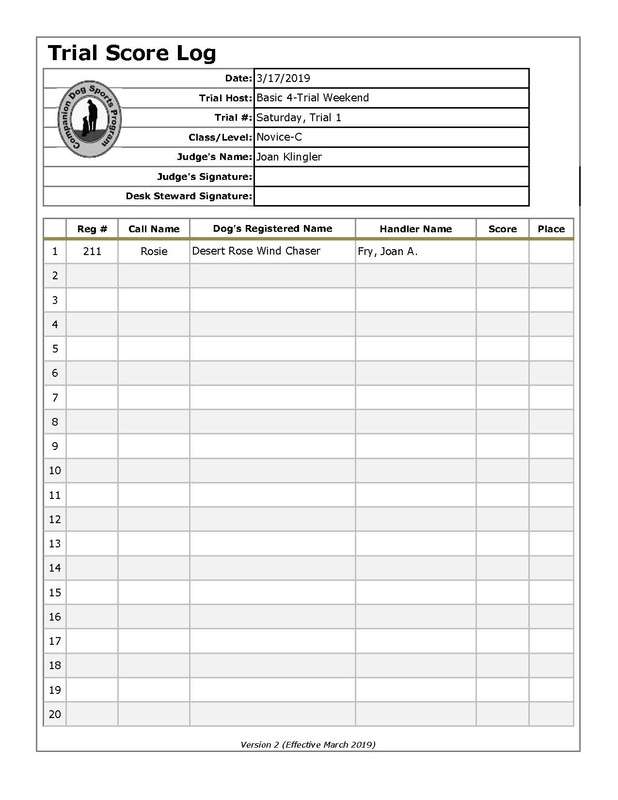 Print Score Sheets (Worksheets) for each entry, including the dog's CDSP number (used as Armband number), breed, class entered, jump height, club initials, date, judge, and trial number. 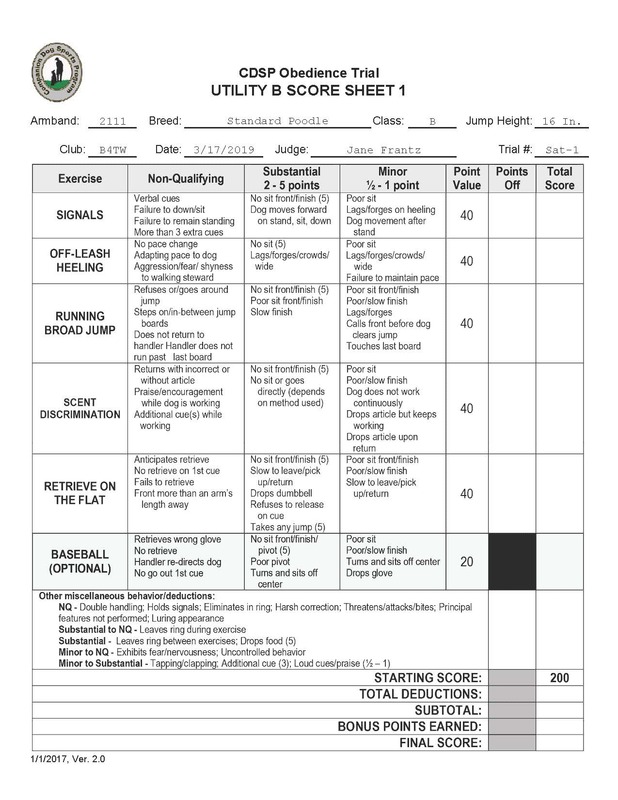 Print Trial Score Logs with the trial date, trial host, trial number, class and level, and judge's name, and teams entered in that class. 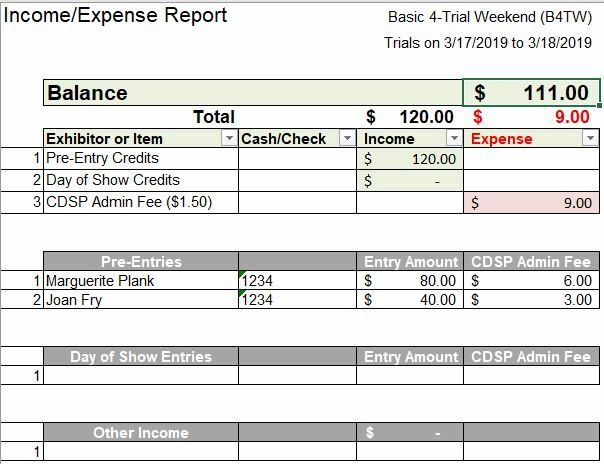 Provide a Budget sheet where you can record entry fees, credits, and debits to track the financial health of the trial weekend. Create Exhibitor Catalogs, ringside run order sheets, and jump height sheets. Record move-ups or transfers from one class to another. Assign test order for those classes and levels that have different orders of tests. Create a Trial Recap of trial data after the conclusion of the trial. It will not run as an executable (.exe) file. You must have Microsoft Excel (no older than version 2013) and Microsoft Word already installed. Assign traditional armband numbers. However, CDSP rules allow for using the CDSP number as an armband number. Track High in Trial and High Combined. You need to manage that manually. 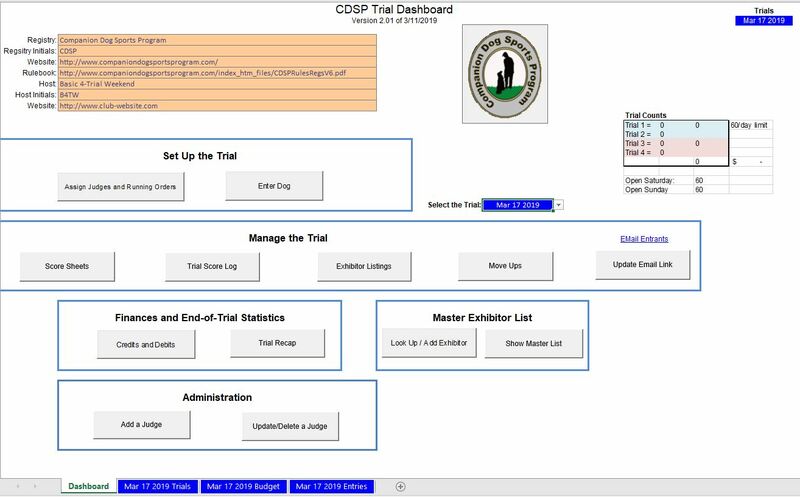 You will also need to complete CDSP's trial wrap-up paperwork, available in fillable PDF forms from the CDSP website. Chuck died in his sleep at age 59 on Oct. 1, 2018. He and I had hoped to turn the Obedience Trial Manager into a marketable tool. I think it's a valuable resource, even in its simpler form, and I hope to add features that will give it a longer life over multiple trials. I have a lot of learning to do, and I may never catch up with his programming skills.